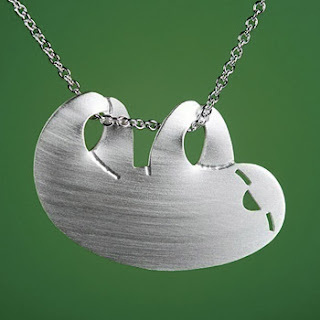 ShanaLogic is now offering this adorable Sloth necklace on their website. Sloths are in no way cute. I think someone needs to check out National Geographic more often. but sloths are cute! It all just depends on what you think! I want this!!! And I know quite a few who'd wear that!! In fact I clicked on this to see If I could buy this...!!! !